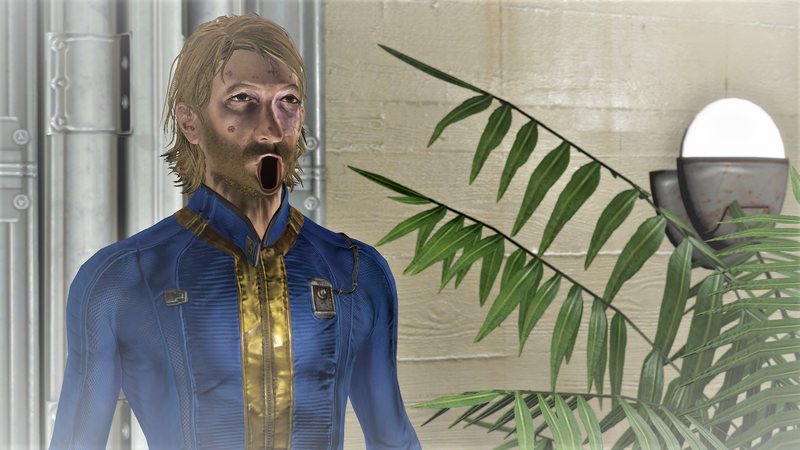 A supernatural event is transpiring in Vault 88. You won’t believe it before you see it. Lucky for you, Game Cosmos Press got moving pictures of the event. This dude looked genuinely terrified. He sat in the nursery, staring blankly into the air (and probably still is). Asking him what he saw only got me “Ghost. Gym. Goodbye.”. I ran to the gym to investigate this alleged ghost. A chill went down my spine. A chill, I say! There were no wires or anything moving the weights. Was it really a supernatural event? How do you explain this if not by some metaphysical phenomenon?